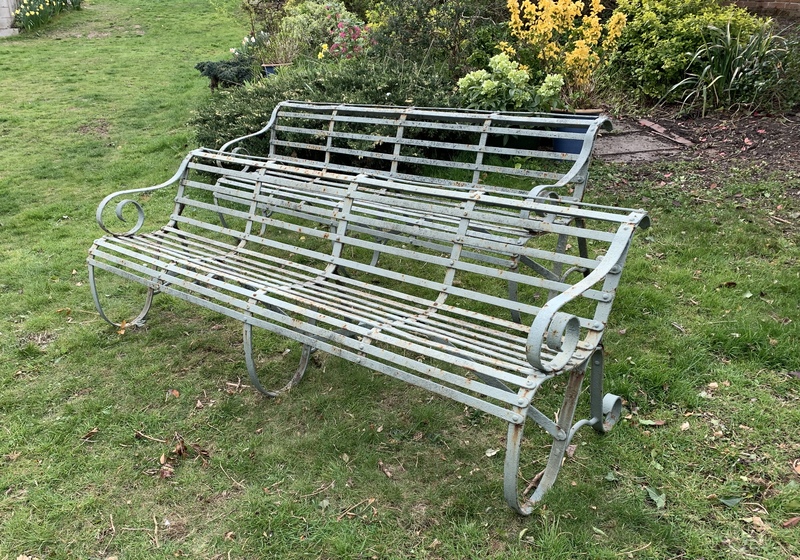 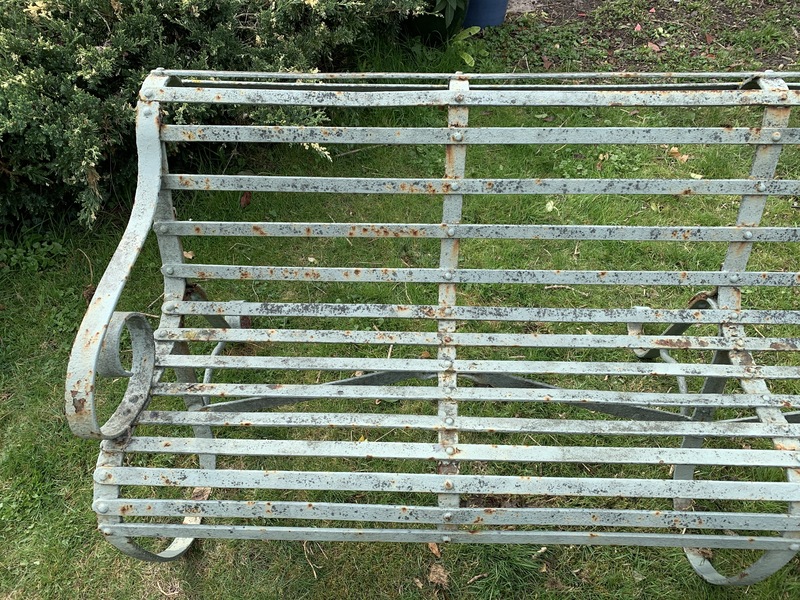 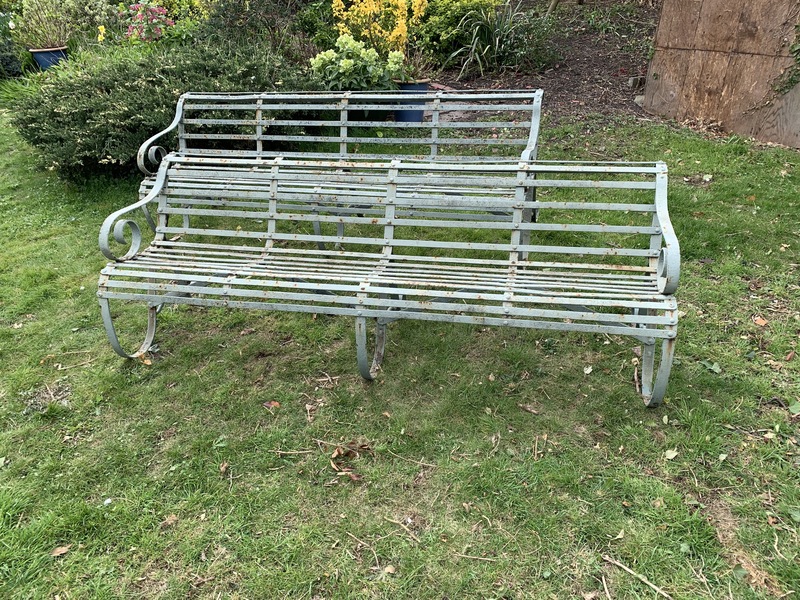 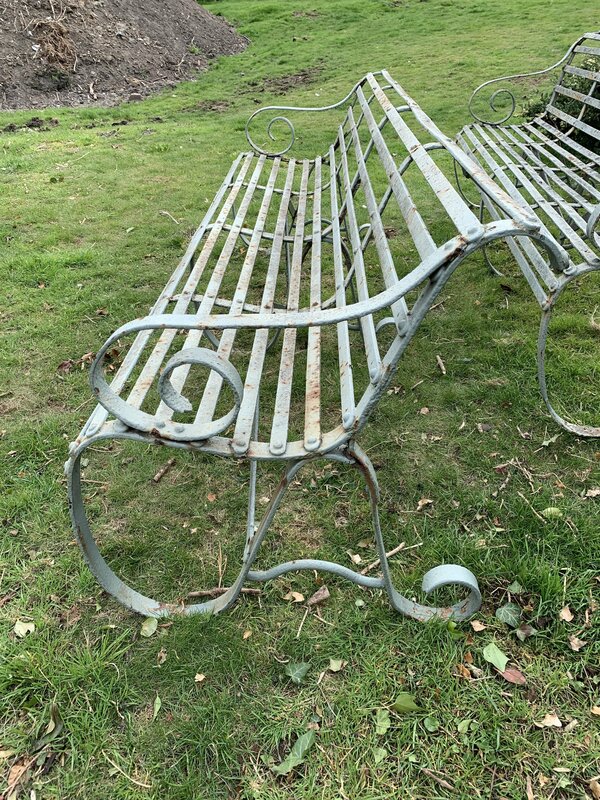 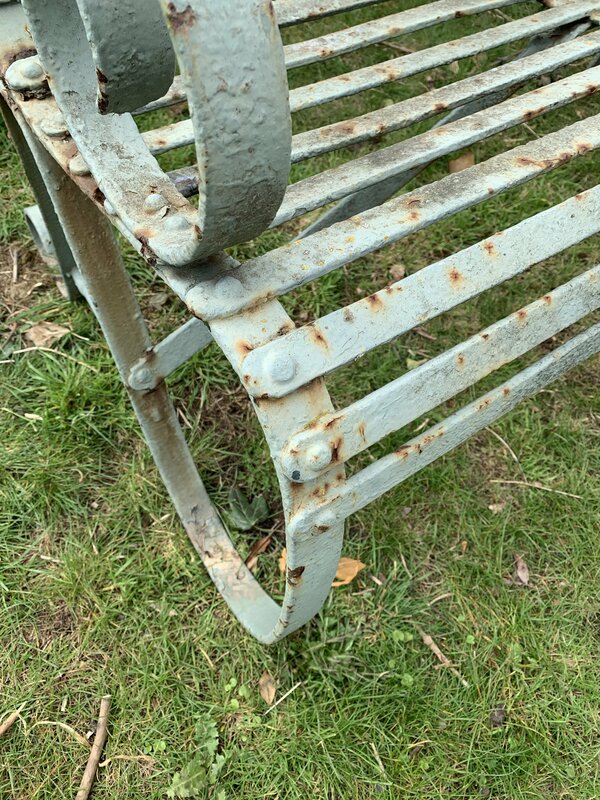 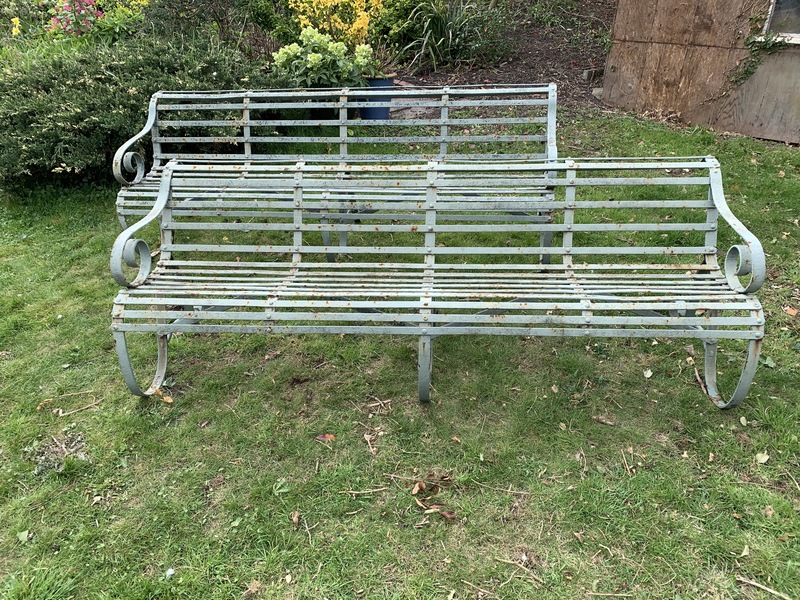 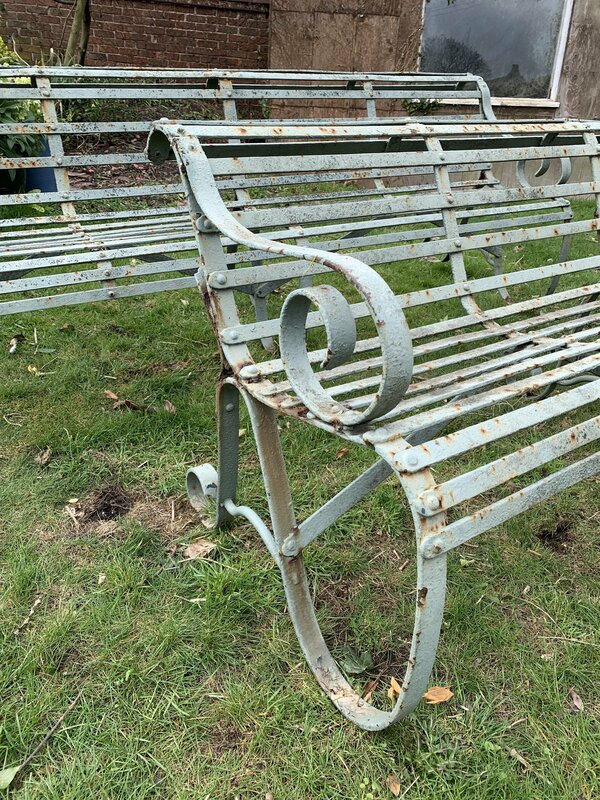 A great matching pair of original Victorian wrought iron slatted 4 seater garden benches with roll top back. 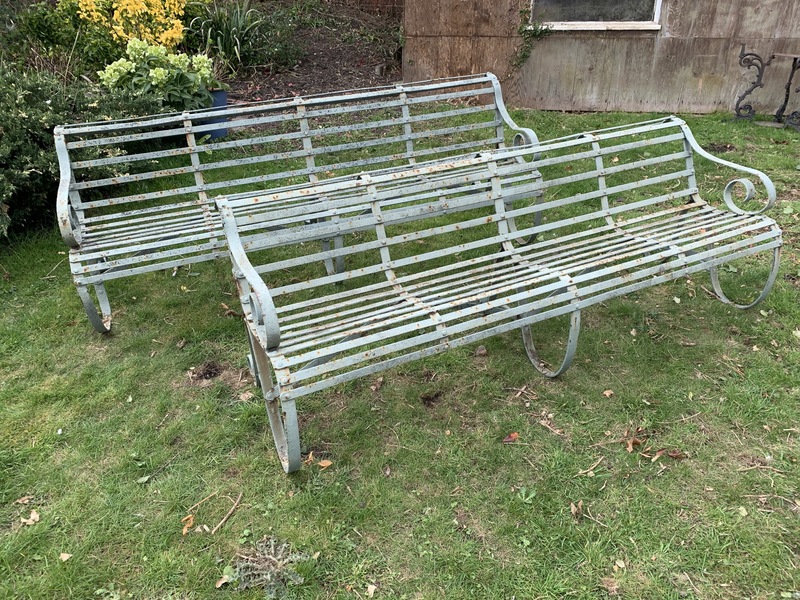 Great shabby flaking green paint. 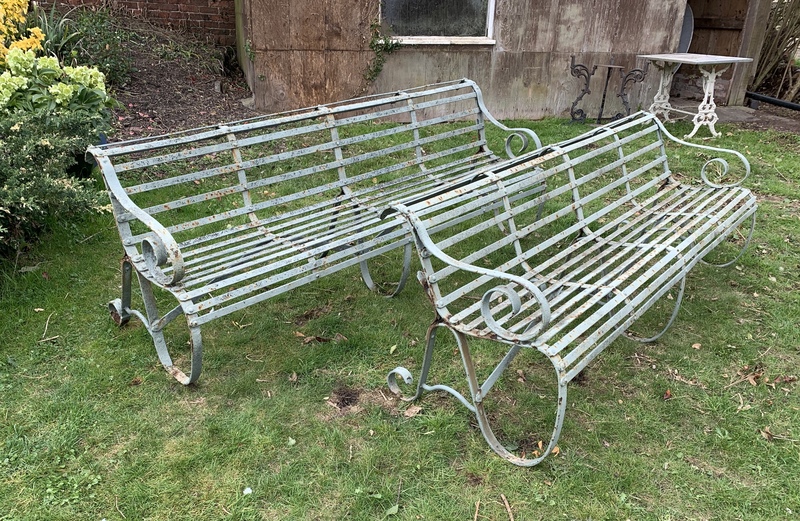 Contact us on 07885 379772 or email below for more information or to purchase.